Not as bad as I thought. That basically sums up my experience with the Apple Watch. When I first got it, I wasn’t excited about it. But it was a gift from my husband, and so I had to at least try use it. Actually, I was surprised he got me another watch, especially since I only wore the last watch he gave me like three times. But again, it’s not as bad as I thought. As the British would say, it’s actually quite pleasant. For one thing, I hardly notice I’m wearing it. And that’s saying a lot from someone who thinks watches are just too damn heavy. The 38mm sports watch is very light, and the straps feel like I have nothing on my wrist. And look! No eczema! None of the redness or irritation that I experience with my other watches. I still haven’t grasped the concept of the Activity app though. I appreciate the intent of tracking the “overall well being.” However, as a former Fitbit user, I still wish it highlighted steps more instead of calories. 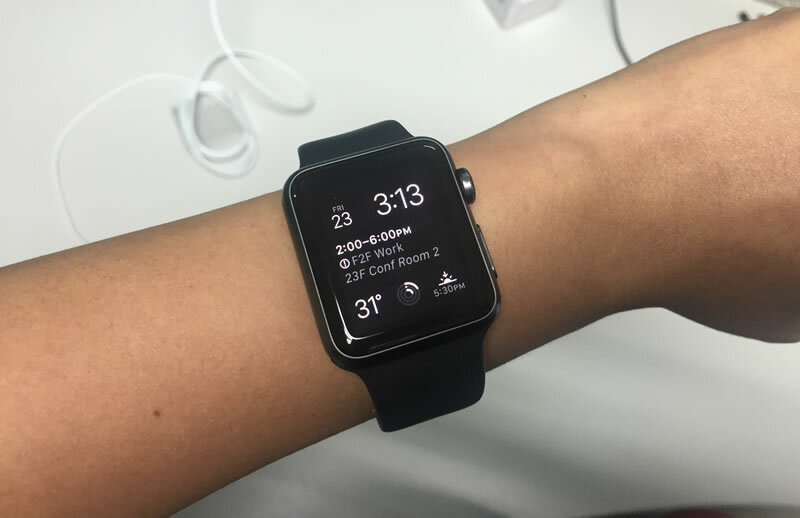 One unexpected benefit of the Apple Watch is that I am more “present” because I tend to look at my phone less. I can actually focus on the people I’m with or with whatever else I’m doing. Why? Because the Apple Watch gives a subtle vibration whenever there are notifications on my iPhone. No vibration means no notification, ergo no need to look at my phone. If you have the disposable income to buy an Apple Watch, then by all means get one. I’ve lasted decades not wearing a watch. Now I wonder how I could’ve lived without it.